Your child will love working on behaviors with our Nick Jr. Behavior Charts. 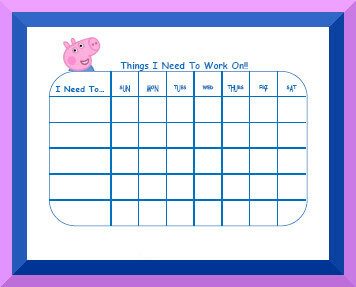 Keep track or chores, daily routines, or track behaviors with your favorite character! Also check out our Disney Jr. Behavior Charts as well as our page of Step Charts for other fun characters! You can use the "comments" space to list rewards earned or comment on how the week went.